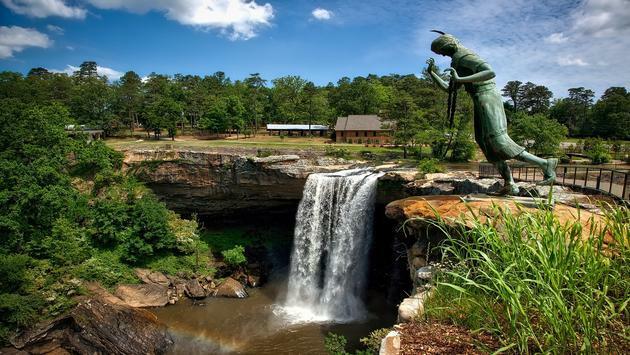 Noccaulula Falls is a 90-footer near Gadsden. The park includes a petting zoo, a train, a pioneer village, plus mini-golf. Sounds like a ready-made waterfalling trip for the family.